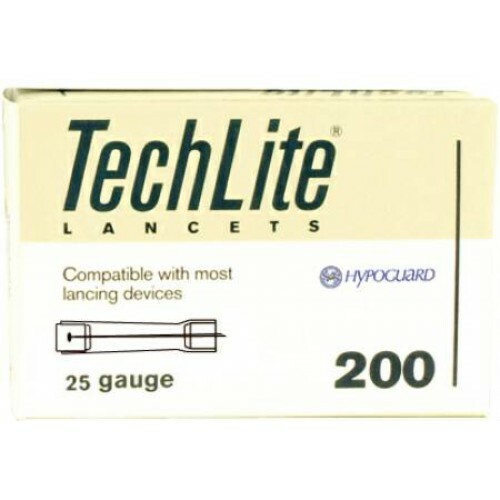 Techlite Lancet, Lancet Device, BUY Safety Lancet, 880225. 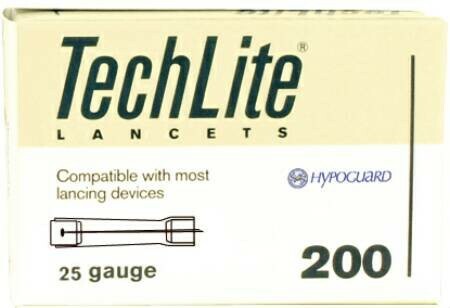 Techlite Safety Lancets, manufactured by Arkray USA, are Lancet Devices that are designed for single use. Techlite Lancets have a contoured handle for an improved grip. These Safety Lancets have a smooth tip with a bi-level point to ease the discomfort associated with lancing. These Blood Lancets work best for thin skinned adults or pediatric patients. Compatible with most lancing devices.